Pietersen, who was sacked by England in February following the 5-0 Ashes drubbing in the winter tour to Australia, has signed a two-year deal with the Cameron White-led team of the Twenty20 league, the Stars said on their website (www.melbournestars.com.au). 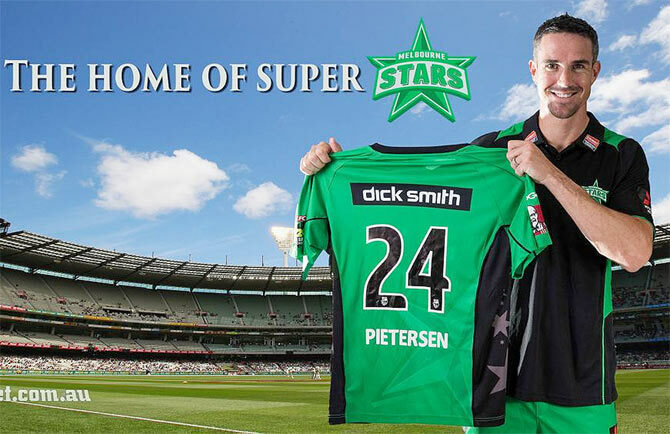 "Joining the Melbourne Stars was an easy choice for me when you look at the players we have and the amazing off field support staff, and don't forget our home ground, the MCG (Melbourne Cricket Ground)," Pietersen said. A prolific and entertaining batsman known for his trademark switch-hit stroke, 34-year-old Pietersen is scheduled to make his Stars debut on Dec. 20 against Hobart Hurricanes at the MCG.